Hello internet! How’ve you been? I was off work today, so I decided to go for a nice walk. I managed to be outside for an hour and a half without getting rained on! 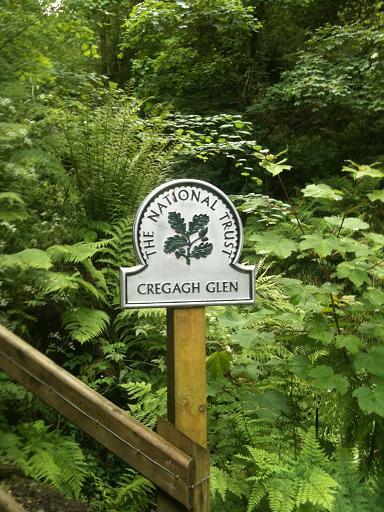 I walked to my local forest, Cregagh Glen, which I discovered today is run by the National Trust. As usual, it’s pretty rough – trees have fallen, and fences have broken; some of the bridges still don’t have guardrails, and there’s quite a bit of litter from the local drinkers. Well, a little less now, since once of the items I saw was a plastic bag, so I lifted it up, and filled it with bits of rubbish that I found on the way down). But despite the bad parts, it’s nature, and it’s lovely. Walked right to the top, and enjoyed the view over Belfast from the top of the hill, but had to use some of my football special to put out a fire that some moron had lit in the bushes. But I hadn’t walked there in ages, and I enjoyed being out and about. According to runkeeper, around 4 and a half miles in and hour and a half. But who cares – today, it was just about a nice walk. You are currently browsing the Destroy All Onions! blog archives for May, 2011.